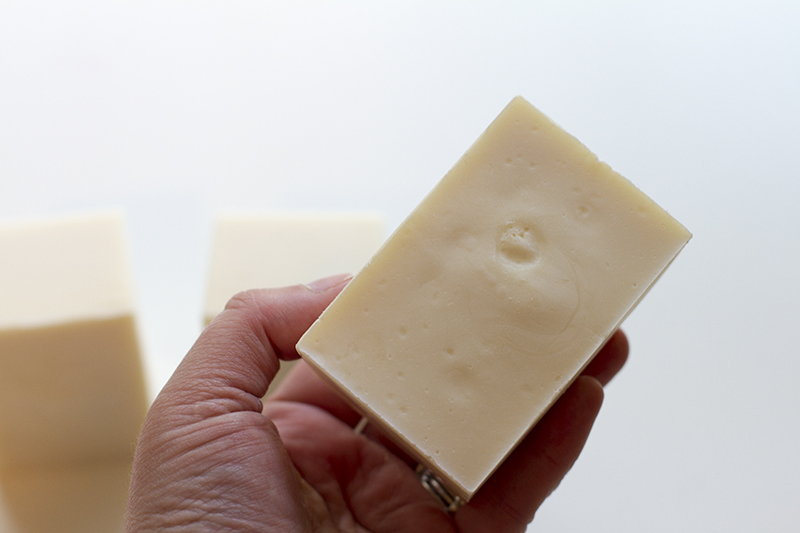 So, you’ve made the switch to homemade, artisan soaps, and you’re happy with the results. But have you ever thought about what you’re putting into your hair? 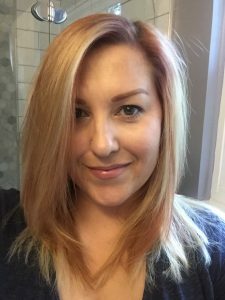 As I’ve researched what goes into commercial soap products, that eventually led me to investigate ingredients in commercial hair care products. Is it possible to make quality shampoo at home? Absolutely! 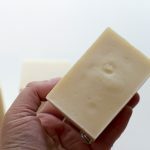 I decided to start my foray into hair care with a product similar to soaps I’m already making — shampoo bars! 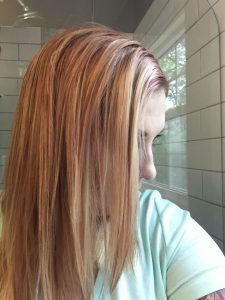 First, let’s talk about what I’ve learned about conventional shampoo. Commercial shampoo is not truly soap. It’s actually a detergent, and it’s typically made by combining a surfactant and a co-surfactant. A surfactant is a compound that lowers the surface tension between two liquids or between a liquid and a solid. Other common detergents are used for dishes and laundry. Detergents work by lowering the surface tension of water, allowing it to spread and seep into the surface being washed. It then binds to grease and grime, breaking them into smaller particles, making it easier for the dispersed water to wash them away. Because of the detergent’s ability to lower surface tension, it’s also easier to rinse from hair and clothing than soap, especially if you have hard water. But imagine what detergents do to your hair. Shampoo is very effective at grabbing onto every last bit of oil, and washing it down the drain. Now, if you have very oily hair and skin, this might be ideal. But hair does need to retain some of its naturally produced oils to stay healthy and smooth and to prevent breakage. And if you’re like me and have extremely dry skin and hair, shampoo can actually be quite damaging. Commercial conditioners contain moisturizers and oils to replenish some of what the shampoo has stripped and essentially mask the damage that’s being done. 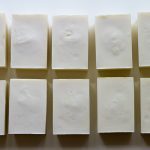 So what are some other pros and cons to using shampoo bars instead? Shampoo bars are real soap. Ideally, they will be made with nourishing base and essential oils that are specifically beneficial to hair. One of the byproducts of the saponification process is glycerin, which is a humectant. Combined with other emollients and oils, humectants soften skin and draw moisture to hair. Shampoo bars are definitely a little awkward to use at first, and the lather takes longer to rinse from your hair. Also, shampoo is more acidic, whereas soap is more alkaline. This can be balanced out, however, by substituting the water in your lye solution with a weak acid, or by using an apple cider vinegar solution as a rinse (this is also a great detangler!). Finally, most people do report a transition period. 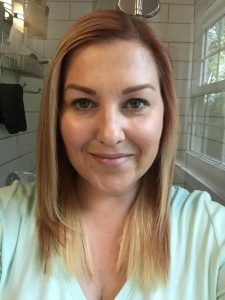 I read quite a few horror stories of people that experienced a three to four week period after making the switch where the scalp would produce an increased amount of oil until it adjusted to the change. People intially reported abnormally greasy, heavy hair. But those who were able to stick it out through the transition ultimately reported softer, smoother, more voluminous hair. My experience? My transition period lasted about three days. To be fair, the first day I tried the shampoo bar, I also tried a new blow dry cream. 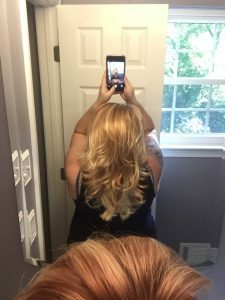 I regularly use a Bumble & Bumble styling cream, but I’d received a sample of one from Living Proof in my Ipsy subscription. Now, I have friends that use this cream with no issue. So I don’t know if it was because my shampoo bar left my hair nice and porous or if my hair just didn’t like the cream, but my hair was a greasy, sticky mess! Have you ever forgotten to wash conditioner out of your hair, and not realized it until after you dried it? It was just like that! The second day was certainly better, but still a bit greasy and sticky. The hair on my crown and forward was nice and soft and bouncy, but underneath was still a greasy, sticky mess. I’m not sure if I just didn’t completely wash out the styling cream or if I didn’t completely rinse out the soap. Either way, I was feeling encouraged by at least half my head. Day 2: Normal on top, still sticky underneath. By the third day, I figured out a good method for fully lathering up my hair. Basically, I brush any tangles out before hopping in the shower. When I’m ready to wash, I get my hair nice and wet (more so than I would with shampoo), then starting at the nape of my neck, section off my hair in rows (just using my fingers), rubbing the bar against my scalp along the part. Once I get to the top of my head, I add a bit more water, then lather up as usual. 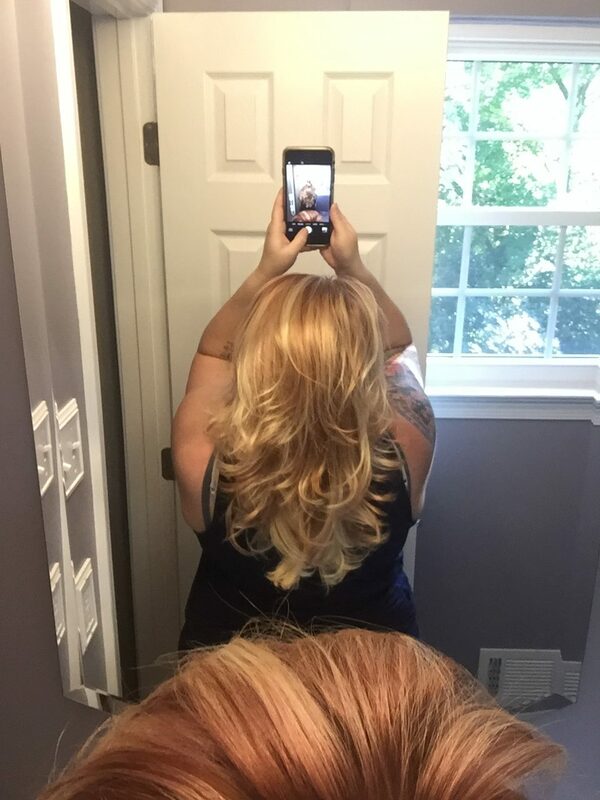 has never had this much volume! Final thoughts? I’ve been using the soap for about three weeks now, and I love it! I have so far completely foregone conditioner and styling creams. My hair is a bit tougher to comb or brush through when wet, but after I dry it, it’s incredibly soft and crazy voluminous. Plus it holds curl about ten times better than usual! I have noticed zero extra greasiness. I can still go 3-4 days between washes just as I did before. 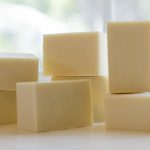 My only caveat to this lengthy post is that shampoo bars may not be for everyone! As I mentioned before, I have naturally fine, dry hair, so the transition period was very easy for me. If you have naturally oily or thick hair, this might not be the product for you. 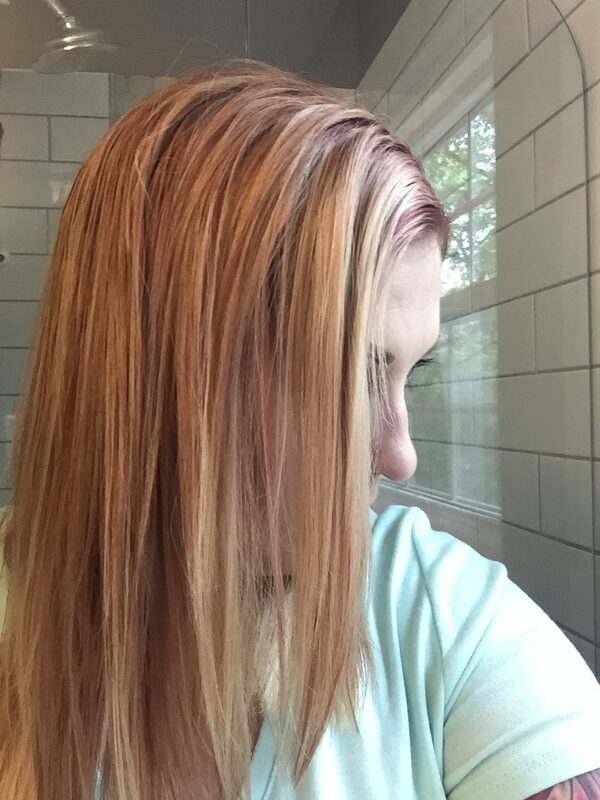 Additionally, I have no idea how this product will work for color treated hair. 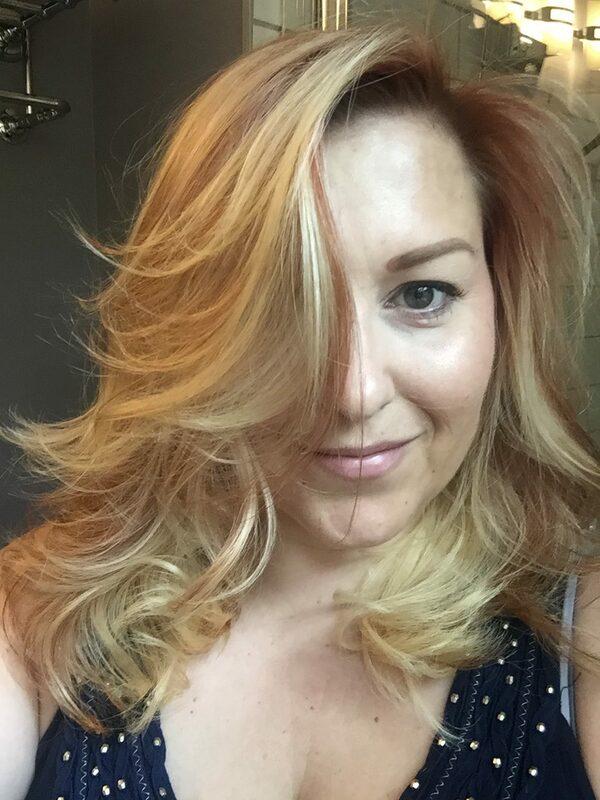 I usually have bright red or pink hair, but for the summer, due to swimming and spending time in the sun, I’ve gone back to blonde. Come fall, I do plan to color my hair again. So after a few weeks of testing, I’ll report back on how well my color holds up with shampoo bars. 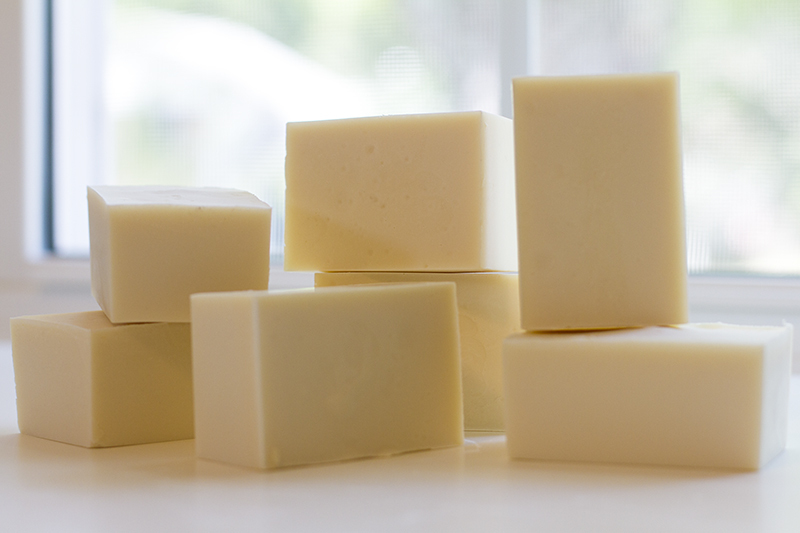 If you try making shampoo bars for yourself, let me know about your experience in the comments below. I’d love to hear from you! 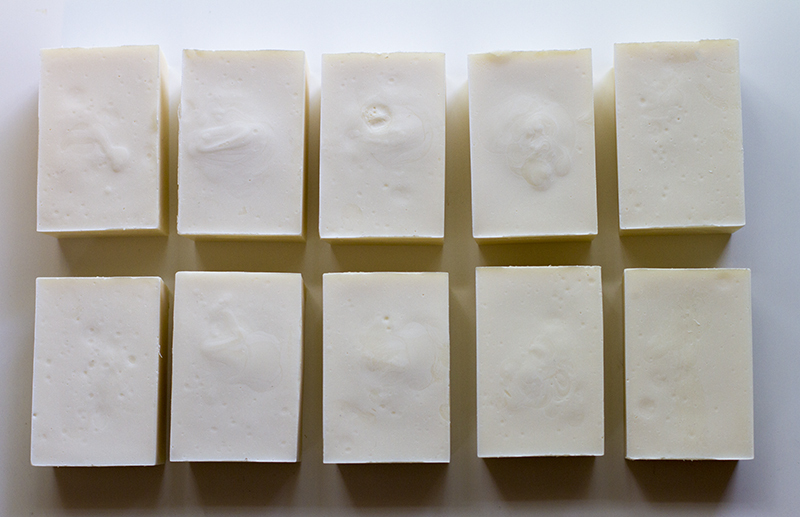 Special thank you to Liz Ardlady for her extensive post on and recipe for shampoo bars! She makes hers as hot process, and I used the cold process method. Bergamot or rosemary essential oil at 2.5% of your base oils. Formulated at 3% super fat. Substitute all water in your lye solution with apple cider vinegar. This is really Interesting cause I have read that vinegar counteracts lye. Did you superfat? Thanks for sharing all this! Interesting! I’ve never read that, but have seen lots of recipes that add ACV or lemon juice to change the acidity (most commonly in dog soaps/shampoos). It worked out beautifully for me! I did super fat at 3%. Thanks for reading! Hi! I really like ur recipe 🙂 thank u. I have a question: What kind of vinegar u used? Hi. I enjoyed watching and learning about shampoo bars. I too was surprised you were able to use the vinegar. 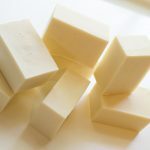 I’m new to soaping but I have watched a tutorial on soapmaking 101 where they use lemon juice-actually the whole lemon-instead of water and it wouldn’t come to trace. Maybe this is a milder acid. My question is dis you cure this as you would other soaps? It seems in the video as if you used it fairly soon after making it but I assume it needed to cure. Thanks for a great video. I’m going to make the recipe. 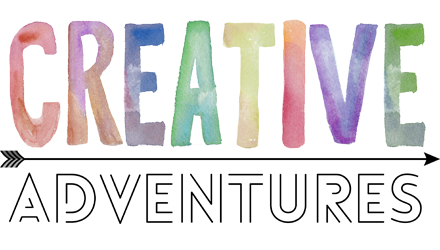 Hi there, and thank you! Yes, you would cure this soap just as you would any others. I tend to use my soaps within a week or two of making them. The saponification process is finished within 48 hours, so they are safe to use that quickly. The remainder of the curing process is to allow as much moisture to evaporate from the bars as possible, resulting in a very hard bar that lasts longer. So for personal use, I use them quickly, but for selling, I would let them cure the full amount of time for the best product possible. Just put your recipe in soapcalc, it adds up to 97%, whats the other 3%? Oh, goodness, thank you for pointing out my error! The missing 3% is olive oil. I’ve corrected the post. Hi Does this also work in a humid climate? I live in the Caribbean and I wonder if the soap will harden. Or should I put it in the fridge to harden it? This particular soap does get really hard in general, but I’m not well versed in making soap in super humid climates. From everything I’ve read, the best thing you can do is cure your soap in a dark, cool closet with a dehumidifier. Hi, can I use coca butter instead of mango seed butter? Cannot wait to make it! Hi there! You definitely can use cocoa butter. Just note that cocoa butter is harder than mango seed, so you’ll likely end up with a slightly harder bar. 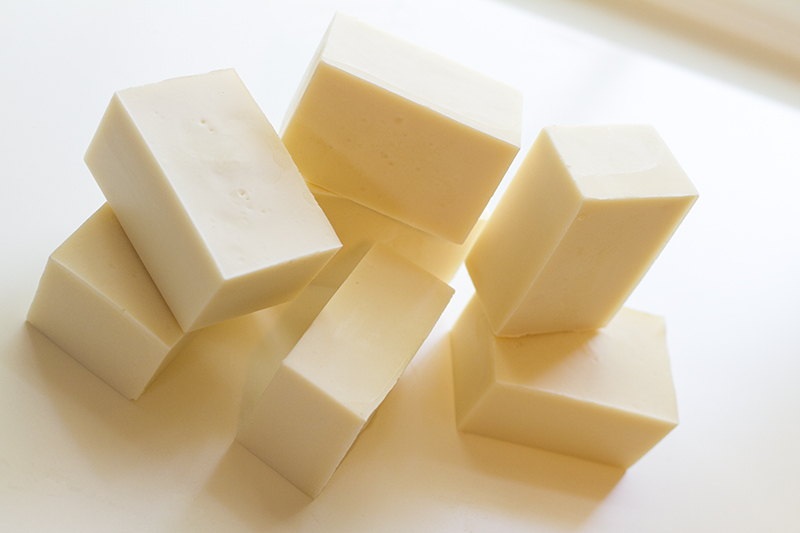 Cocoa butter also has slightly higher emollient properties, meaning it’s best for dry skin and scalp. So if you’re prone to oily hair already, you might want to stick with the mango seed butter. I’m sorry I didn’t respond sooner! I was in the middle of moving across country when you sent this, and just missed it. 🙁 I’m sure you’ve already found the answer, but just for completeness… I run all recipes through soapcalc.net to determine the appropriate amount of lye to use. For the water (or in this case ACV), I always use a 2:1 ratio of water to lye (by weight). I am curious what % ‘water as percent of oil weight’ you used. Hi there! I actually do it a little different. I use a 2:1 ratio of water to lye (by weight), rather than based on oil weight.